This glistening glamorous diamond ring, as part of the Enchanted Disney Fine Jewelry collection, is inspired by the Brave beauty Merida. Wonderfully poised from 9ct white gold, this dazzling design is set with a sensational pear diamond and halo, complimented with shimmering shoulders, totalling 1/2ct. 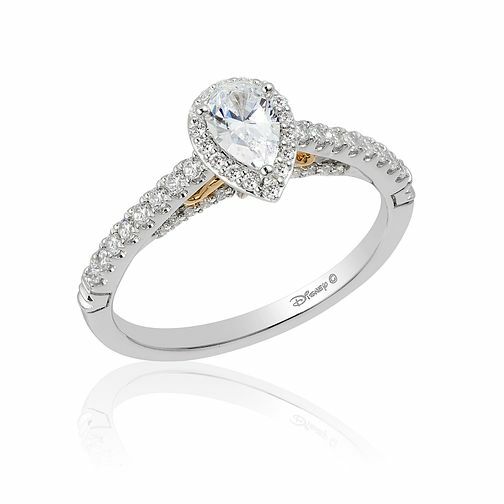 An exquisite and elegant ring, made to capture your own magical moment.